I’ve been super busy lately making super secret projects that could be enterprising secret super stuff. So I can’t show you guys yet, but it’s been taking up a bunch of time, so I haven’t had much to show you. I did get a bunch of new dies and supplies in the mail, but I am still waiting for a bunch of mail (including an early birthday present) so I’ll likely show you all of that at once. The other day, I went to the newsagent across the road, and browsed for a bit before wisely buying a large pack of white card stock, which I needed, as I had run out of plain white card bases, and couldn’t find them for cheap anywhere, as it was discontinued where I bought the last packet. I also can’t find the large pack of white card stock that is somewhere in my craft room. Since this trip to the newsagent, I had one of the cardmaking magazines stuck in my head… and I ended up buying it today. 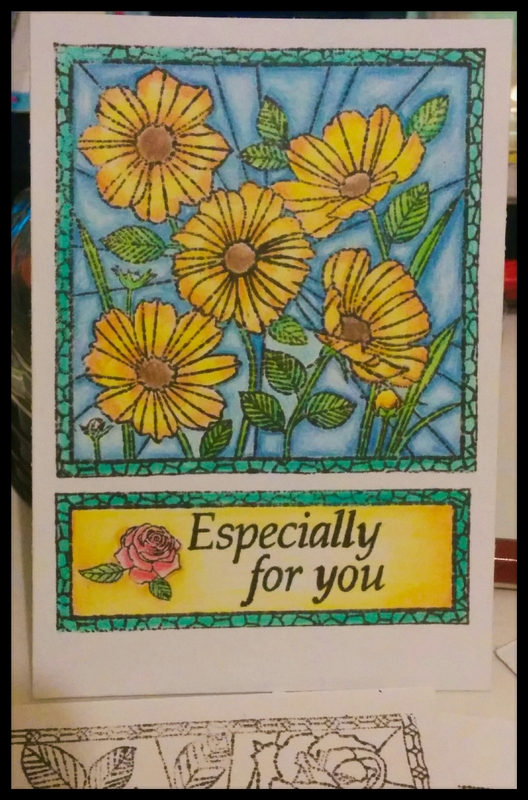 The thing that drew me to it was a stamp set that contained four different flower stained glass look stamps, two matching sentiments and an embossing folder. 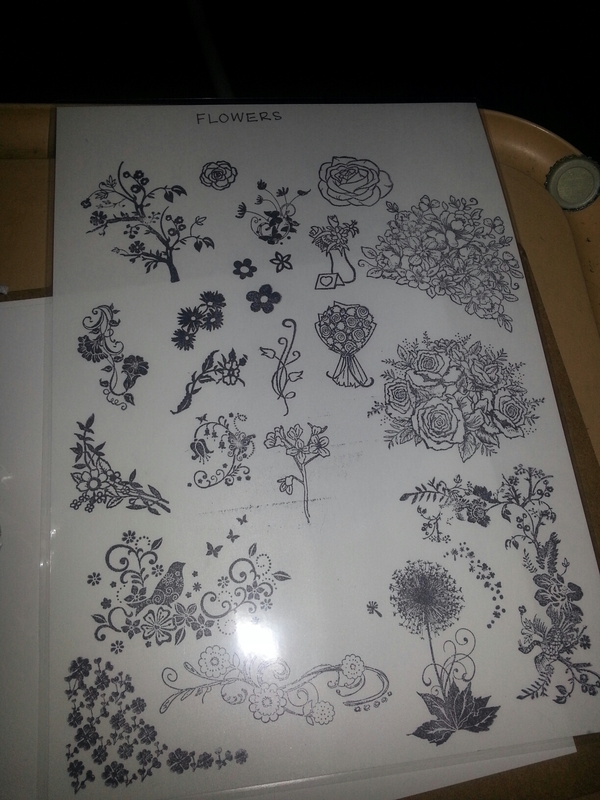 I looked up stamps on eBay that were similar, but there weren’t many, and those were quite expensive. I often disregard the magazines, though they have a few ideas and papers in them. The gift that comes on the magazine is often of high quality and usually worth more than the magazine itself. I’d like to emboss these designs, to give a more stained glass look, but for now, stamped them in Memento Tuxedo black, so I can use coloured pencils, watercolours, and my Copic markers. 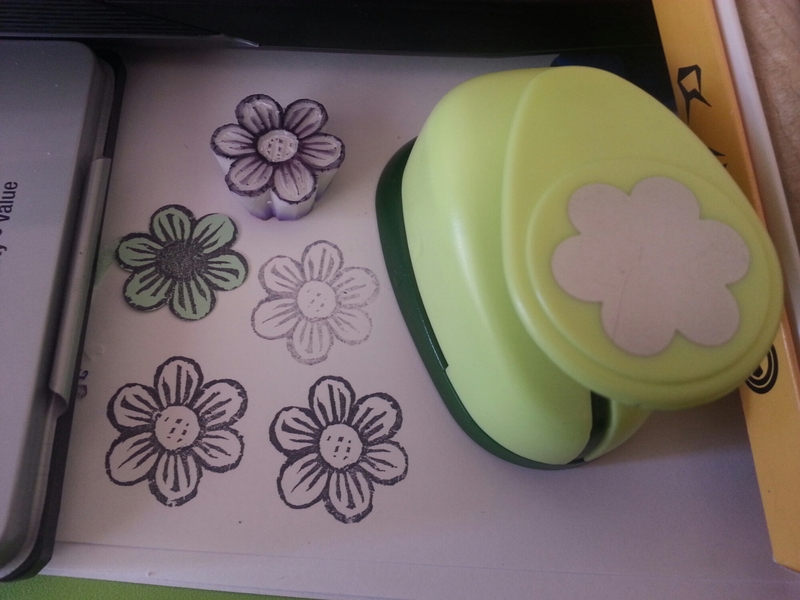 While not-sleeping last night in bed, I was thinking about stamping and getting ideas. One of them was that the hexagon silicon pot holder that I use as a resin doming mat would probably work nicely as a stamp. Turns out, I was right, and with my glorious infatuation with hexagons lately, this will be very useful. Imagine some golden honeycomb pattern embossed in gold on a caramel brown background, or a light airy feel with yellow on a white base as a background for spring flowers. Even a green hexagonal design on black would make for an awesome card for the many computer geeks that I know. 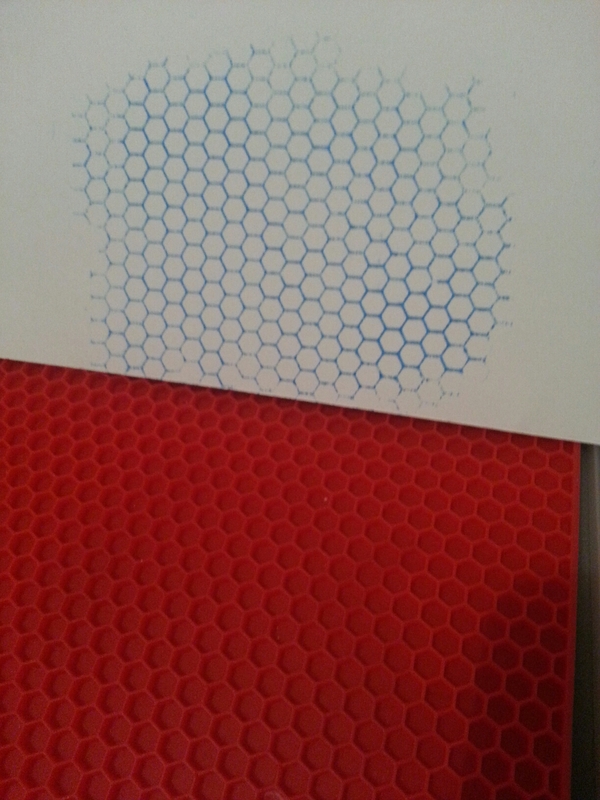 These mats don’t only come in hexagons either, I’ve seen ones with squares, too, which would be fun. Seems like I’ll be looking for stamps in everyday objects now. I was browsing the internet, adding to my wish list of craft supplies, when I was thinking how awesome stamps with matching punches are. 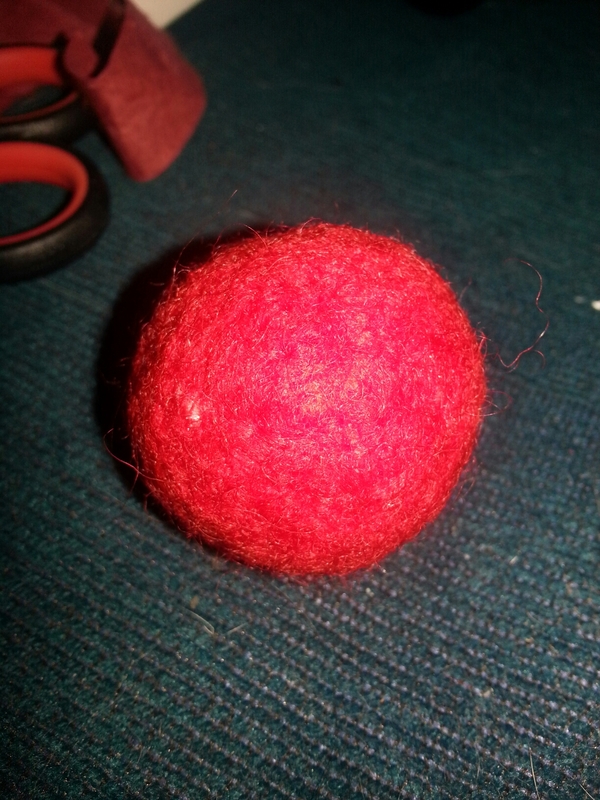 Due to lack of availability, cost and the fact I like making things, I decided I could do this myself. I’ve been wanting to carve some stamps and I definitely need to practice more, but I like the rough style that came out of it. I began by punching the shape I wanted, from card, and traced it onto the carving rubber. I then cut the shape out using a blade, and began carving away. The grooves don’t need to be too deep, just check if it needs to be deeper by inking it on an ink pad. 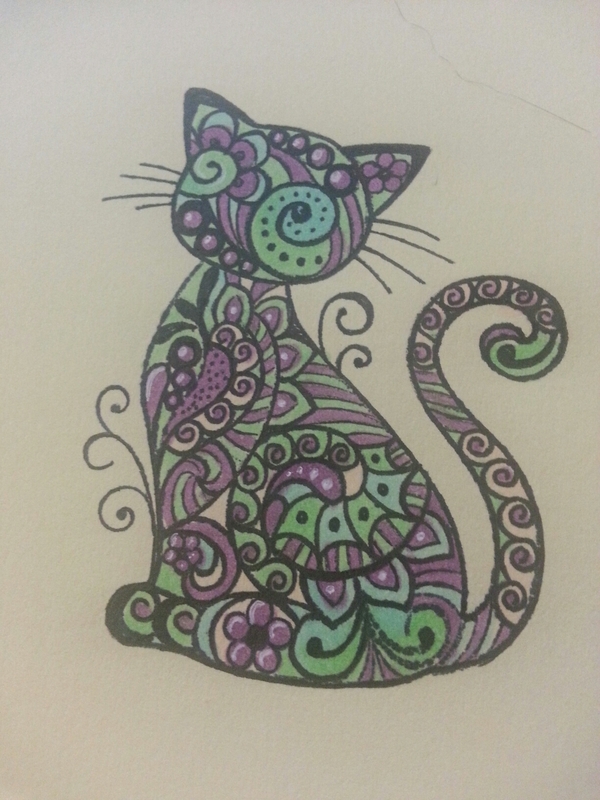 Anywhere the colour touches will likely stamp onto the paper, so cut these unwanted parts off. White erasers can be used to do this, but I find the rubber from the art store carves much easier and cleaner, and it’s cheap. The only thing to be wary of is make sure you carve within the line that you traced, as it will be slightly larger than the punch itself, and it won’t match well. Don’t forget you can make negative and positive patterns, have multiple stamps matching each punch and die, or even have two step stamping. It seems to be birthday season, and now that I’ve completed my valentine’s crafts, I’d better get onto card making. Again. Either I am a very bad stamper, or there’s something wrong with every stamp and ink I own, but my stamps rarely come out perfectly. I’m always touching up the entire image with fine liners. The cardstock I use has no tooth, and I often use foam or paper underneath to give some cushioning, so I’m not sure what I’m doing wrong. 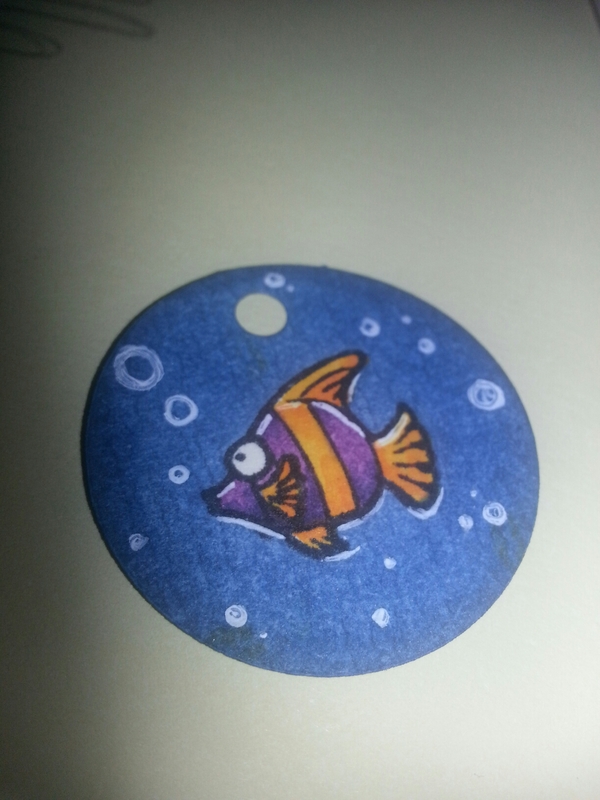 I thought it was the cheap inks I was buying, but I have a memento pad which doesn’t work well either. Same with stamps, even my red rubber Gorjuss brand stamps come out pale and patchy. It’s very annoying, as going over all the lines is time consuming and sometimes isn’t the best looking. Sure it trains hand eye coordination and muscle memory, but it’s mostly a hassle when you have to go over every image. It makes me want to avoid stamping, which is hard to do, but sometimes practising and writing out the calligraphy, or drawings, is less of a bother. Still working on making generic images a bit more special. This time by adding liquid pearls in silver. 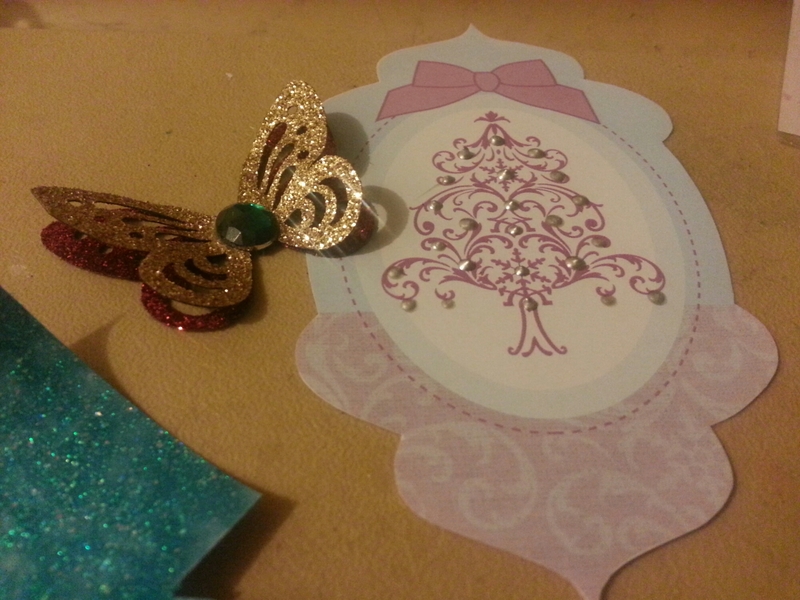 The butterfly is actually red and gold with an emerald coloured gem and looks a lot better in real life, but I keep forgetting to take photos in the daylight. 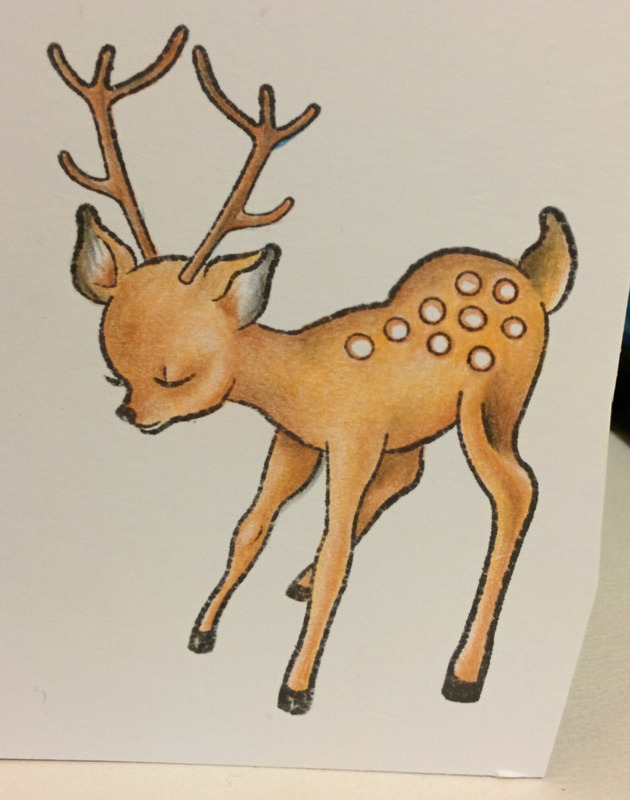 I was also experimenting with a signature stamping that I could use for my cards. I have a couple of ‘made with love’ stamps, but they aren’t right for the cards, in my opinion. I used one last year and it was large and didn’t always stamp well, so I had to stamp forty on the cards, and more to glue over the ones that didn’t work well and it didn’t look too nice after all the work I put into the cards. Its about time I should be putting some cards in the mail. I’m part if the generation that doesn’t use the post often, so I’ll have to ask everyone’s addresses and ask how much stamps are. I haven’t sent them through the mail before. I hope they get to people.